Nédélec, Y., Sanz, J., Baharian, G., Szpiech, Z. A., Pacis, A., Dumaine, A., … & Sabourin, A. P. (2016). Genetic ancestry and natural selection drive population differences in immune responses to pathogens. Cell, 167(3), 657-669. Quach, H., Rotival, M., Pothlichet, J., Loh, Y. H. E., Dannemann, M., Zidane, N., … & Deschamps, M. (2016). Genetic adaptation and neandertal admixture shaped the immune system of human populations. Cell, 167(3), 643-656. Lalueza-Fox, C., Römpler, H., Caramelli, D., Stäubert, C., Catalano, G., Hughes, D., … & De La Rasilla, M. (2007). 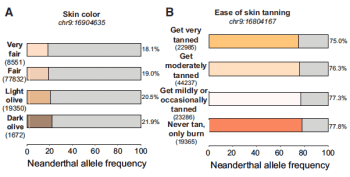 A melanocortin 1 receptor allele suggests varying pigmentation among Neanderthals. Science, 318(5855), 1453-1455. Sankararaman, S., Mallick, S., Dannemann, M., Prüfer, K., Kelso, J., Pääbo, S., … & Reich, D. (2014). The genomic landscape of Neanderthal ancestry in present-day humans. Nature, 507(7492), 354-357. Vernot, B., & Akey, J. M. (2014). 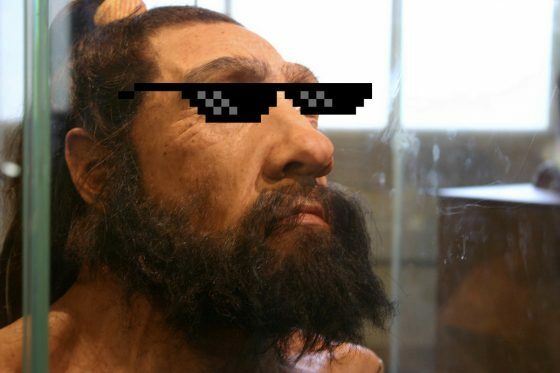 Resurrecting surviving Neandertal lineages from modern human genomes. Science, 343(6174), 1017-1021. Simonti, C. N., Vernot, B., Bastarache, L., Bottinger, E., Carrell, D. S., Chisholm, R. L., … & Li, R. (2016). 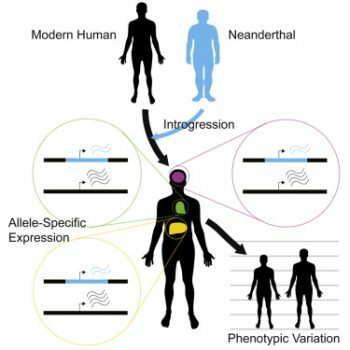 The phenotypic legacy of admixture between modern humans and Neandertals. Science, 351(6274), 737-741.